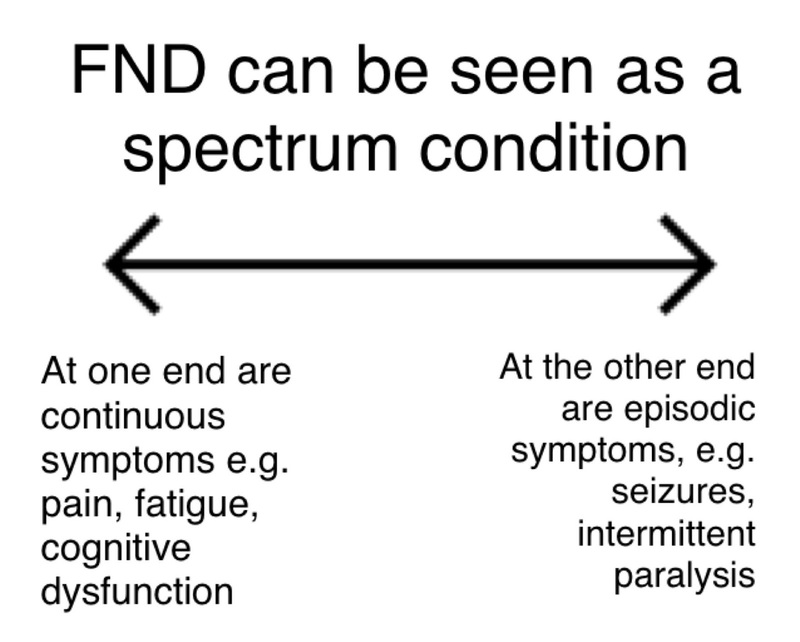 Basically as the name suggests FND is a neurological disorder whereby there is a malfunction in the nervous system and how the brain and body sends and receives messages. It is different to a structural disease such as multiple sclerosis or Parkinson's, but the symptoms can be very similar and FND can be just as disabling. Functional Neurological Disorder, or FND for short is recognised as a rare illness. One way of thinking about FND is to look at it as a bit like a software problem on a computer. The hardware is not damaged but their is a software is and so the computer does not work as it should. The symptoms of FND widely vary including physical, sensory and cognitive symptoms and they affect each person differently. Some people may just have non-epileptic seizures or NEAD (Non-Epileptic Attack Disorder) or have movement difficulties (Functional Movement Disorder) whereas other may have a number of different symptoms. This is only a very shortened list of the many different symptoms a person my experience. Each person's case presents uniquely and no two cases are the same. Other symptoms may include chronic pain, sleep disturbances, cognitive dysfunction, bowel and bladder problems, anxiety and depression. Symptoms often fluctuate and may vary from day to day or be present all the time. Some patients with FND may experience substantial or even complete remission followed by sudden relapses of symptoms. FND is diagnosed upon the basis of positive physical symptoms carried out usually by a neurologist. Hoover's test for functional leg weakness: the patient may have difficulty pushing up their 'bad' leg down but when asked if the are able to lift up their 'good leg' the movement in the 'bad' leg' returns to normal. The tremor entertainment test for a functional tremor - this is where the tremor becomes momentarily better when the person is concentrating upon copying the moment that the examiner makes. For non-epileptic seizures usually an EEG or video telemetry EEG is performed. The cause of FND is unknown, but ongoing research is starting to suggest that some predisposing factors can make a person more susceptible to developing FND. 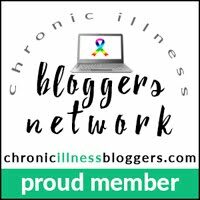 These things include having a pre-existing neurological condition, experiencing chronic pain, fatigue or stress, however this isn't the case for all people. 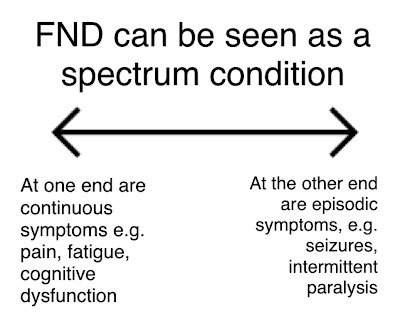 At present studies of FND have shown that triggering factors such as a physical injury, infection, panic attacks and migraines can trigger the first onset of FND symptoms, but normally these symptoms settle on their own, however, in FND these symptoms become 'stuck' within the nervous system, for example pain can be left 'switched on' in the brain for weeks, months and even years which result in a genuine and disabling problem in which the person cannot control. In terms of looking at FND, conventional MRI show up as normal (unless there is another neurological disorder present), but with functional brain scans fMRI's in research they are beginning to show evidence of what is going wrong in the brain with FND. fMRI scans show changes in the person which look different to a normal person feigning their neurological symptoms*. These fMRI scans are helping researchers to better understand FND and are supporting what researchers, specialists in the field and patients already know - that FND is a genuine neurological disorder in with the functional of the brain is not working as it should and that the symptoms are out of the patient's control. Management of FND includes medication for symptoms, physiotherapy, occupational therapy, speech and language therapy and psychology. The aim of treatment for FND is to try and 'retrain the brain' by unlearning abnormal and dysfunctional patterns, such as an unbalanced gait and relearning how to move in a more normal way. *as FND is poorly understood, those who do not full understand the condition often see individuals with FND as feigning their symptoms and they view FND as a psychiatric disorder rather than a neurological problem.